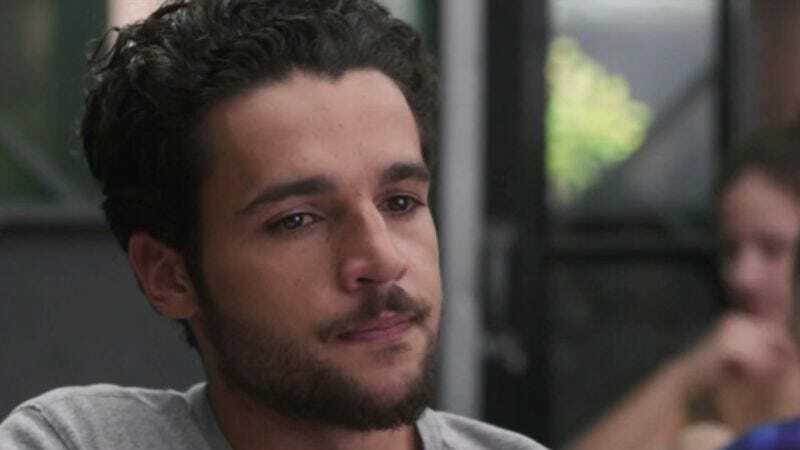 Demonstrating the lack of commitment and concern over characterization that is so typical of men, Christopher Abbott has broken up with Girls, leaving just as Girls started to believe this time things might actually work out. The New York Post quotes a source saying Abbott—who played Charlie, Alison Williams’ occasionally pathetic and needy, occasionally wealthy and arrogant sometimes-boyfriend, depending on the needs of the episode—“didn’t like the direction things are going in.” Which is just such a Charlie and also actor-tired-of-playing-a-one-dimensional-emotional-spoiler thing to say. According to the Post's insider, Abbott apparently started “butting heads” with Lena Dunham as soon as production on the third season began, resuming a storyline that would have seen his and Williams’ characters rekindling their relationship—this time forever, or at least until the show needed to give Williams’ story some dramatic tension again. And rather than talking things out, Abbott just decided to leave, with his rep confirming, "Right now he's working on numerous other projects and has decided not to return to the show," because oh, he's so busy and his life is so great without Girls now. Well, Girls hopes he and his numerous other projects will be very happy together.